This dish is as simple as it gets (within reason). Let me introduce you to my Thanksgiving table contribution this year. I know, I know. It’s nowhere near as impressive as the vegetable gratin of Thanksgiving’s past, but in light of the Clean Plate product venture of this past week and a half, I haven’t had much time to get fancy in the kitchen. 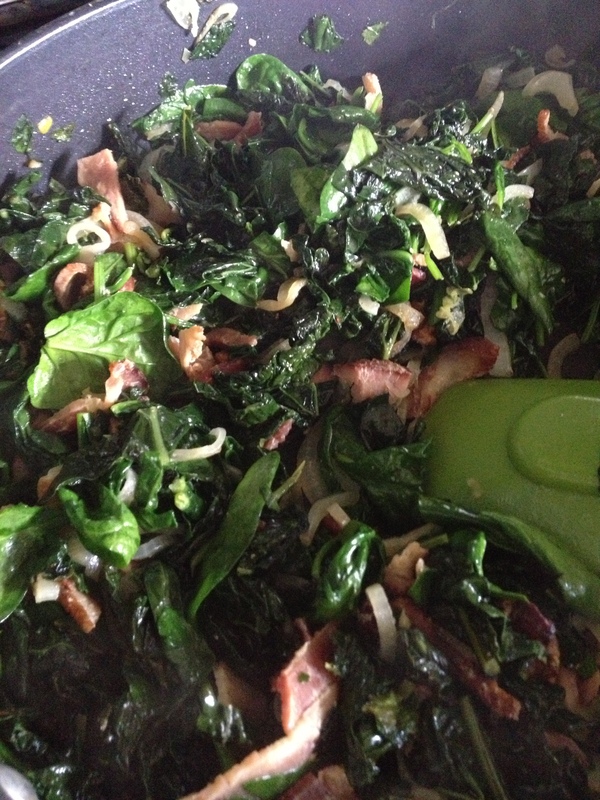 However, no one says that simple can’t be delicious… So bacon and greens it is! If you’ve had too much traditional Thanksgiving fare or are just burned out on elaborate American cooking rituals, try this recipe out. It won’t disappoint and it will help you maintain your thankfulness through the weekend. On a rimmed baking sheet, cook bacon in oven until crispy. Pour bacon fat into a large skillet. Over medium-high heat, add onions and stir. 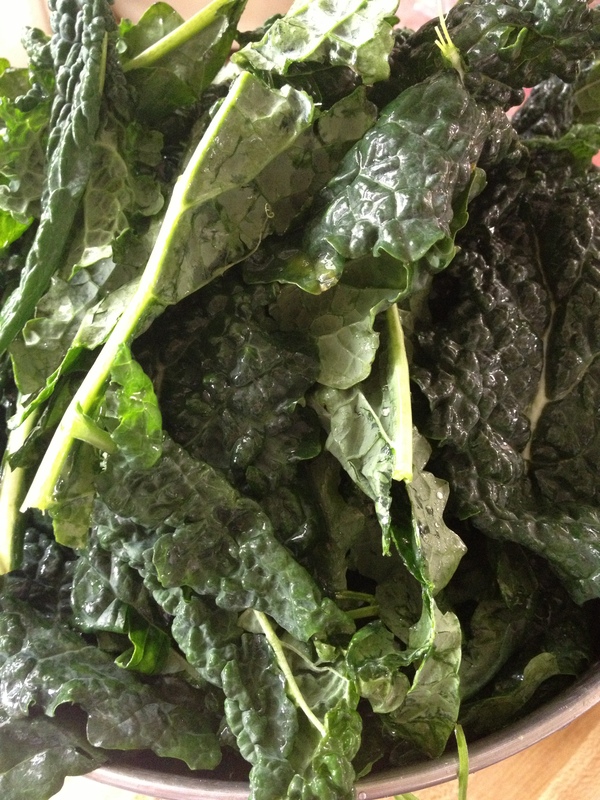 Add kale and keep adding more as it begins to wilt.